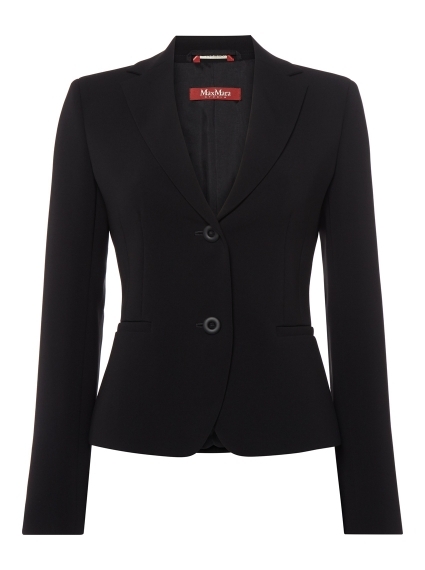 Crafted from their signature cady fabric which is ideal for travelling, the Ulla blazer from Maxmara Studio features step lapels and welt pockets. The short, fitted silhouette is lined in stretch fabric for comfort. The two button fastening creates a smart silhouette - finish the look with either the Estense trousers or the Rima pencil skirt in the same fabric.